We can totally transform your shell scheme using the brilliant Shell-Clad display system. Shell Clad utilises a plastic clip that slots into the shell scheme posts and enables you to easily apply graphics to your shell scheme walls. Shell-Clad is so easy to install with no special tools or skills required – simply slot the shell clad clips into the shell scheme posts, unpack the tubes and roll the panels onto the walls (they fix to the clips with velcro). The Shell-Clad system packs into tubes making it easy to transport and store – the majority of our stands can be transported on the back seat of a saloon car and installed by a single person. This saves on van hire and manpower during both build-up and breakdown. It is so simple that you won’t need expensive fitters to build it for you – you can do it all yourself! 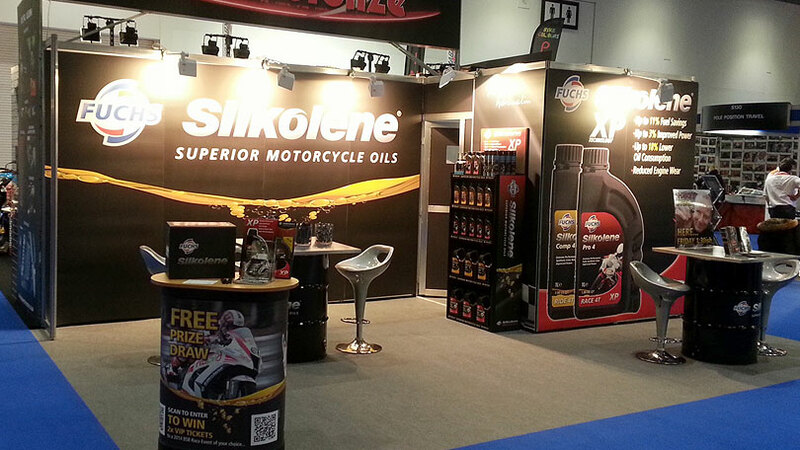 To ensure your stand is as eye-catching as possible, we strongly advise the use of Magiclad rollable panels in the production of your graphics. Once printed, the graphics are mounted to Magiclad panels (manufactured from highly durable corrugated polypropelene sheets). Unlike foamboard or pop-up drops, they will not fold or kink. The result is a graphic solution that sits flat against the stand wall. This video shows just how easy it is to install your Shell-Clad exhibition stand. re-usable solution it represents fantastic value for money.